As described above. No clothes should develop holes after two uses. I'm pretty disappointed. I love these socks. So does my husband who received them from me as a gift. The colors are masculine with the fun design. My son loves Llamas and sock. 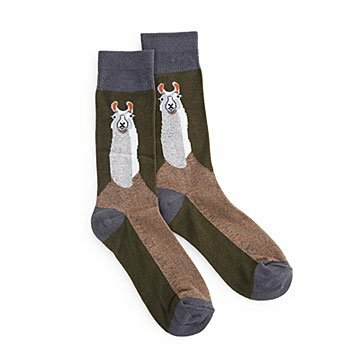 What better combination than Llama socks. SO fun!! My boyfriend is obsessed with them (as am I). Always a fun gift for anyone! For a true llama lover! Loved the quality - especially in a "fun" item. These are even better than I expected, great quality. These socks are so ugly they are actually kind of cute.